David Letterman‘s last few episodes will blow you away with their star power. The Late Show host just announced some of the star-powered names that will be joining him for his remaining few episodes, and he couldn’t have found more A-listers if he’d tried. Oprah Winfrey, Julia Roberts, George Clooney, Bill Murray and Tom Hanks are just a few of the huge names who will be helping to give Letterman a worthy sendoff. As if those five names alone wouldn’t be enough to get you to tune in to The Late Show, Letterman will also be joined by Will Ferrell, Tina Fey, Jack Hanna, Scarlett Johansson, Michael Keaton, Steve Martin, Don Rickles, Ray Romano, Paul Rudd, Jerry Seinfeld, Martin Short, Howard Stern, John Travolta and Bruce Willis, according to People. And those are just the actors. Musical guests include Mumford & Sons, Amos Lee, Norah Jones, Dave Matthews Band, Elvis Costello and Brandi Carlile, among others. Additional names are also expected to be announced in the coming weeks. Letterman, who holds the title for longest-running late-night host in history, has just 28 shows left. After more than 20 years working on the show, he will be retiring and passing the torch to Stephen Colbert, who will step into the hosting seat in May, following Letterman’s final show on May 20. 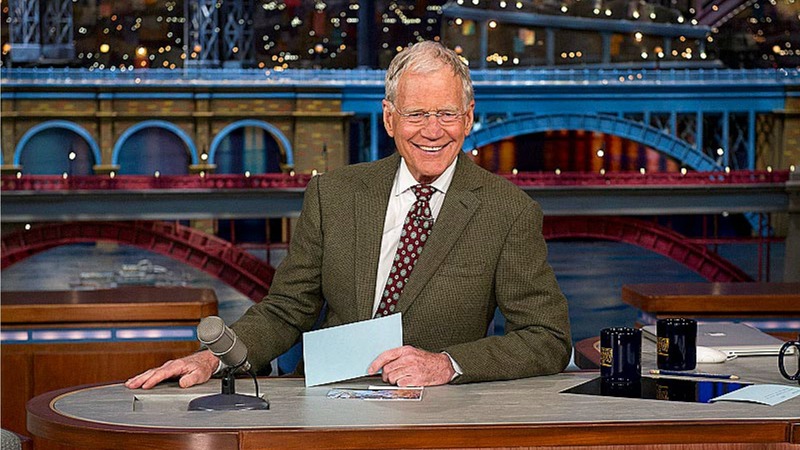 Letterman’s departure comes in the midst of several late-night changes. James Corden recently took over for longtime Late Late Show host Craig Ferguson. And Jimmy Fallon has only been hosting The Tonight Show since February 2014. And while the changes are definitely exciting, the new hosts, unfortunately, don’t offer much in the way of diversity. But there is no doubt these men can put on a good show. Are you excited about the changes to late-night television?